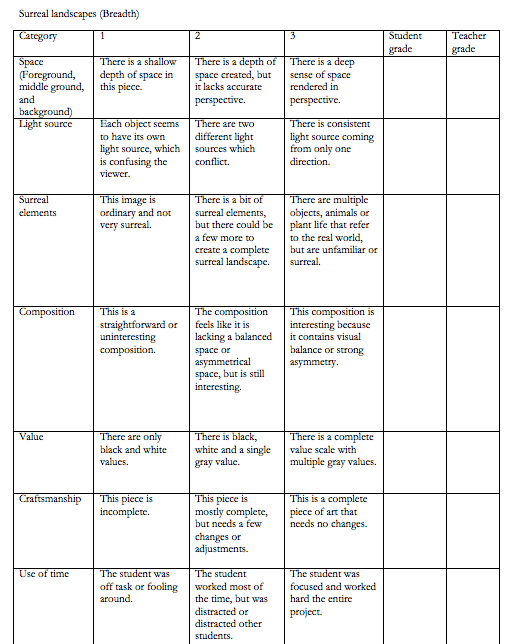 This is breadth assignment for AP Art students that includes an handout/guide and rubric. SWBAT create a surreal landscape in the material of their choice. SWBAT use magazine collage as a visual resource. 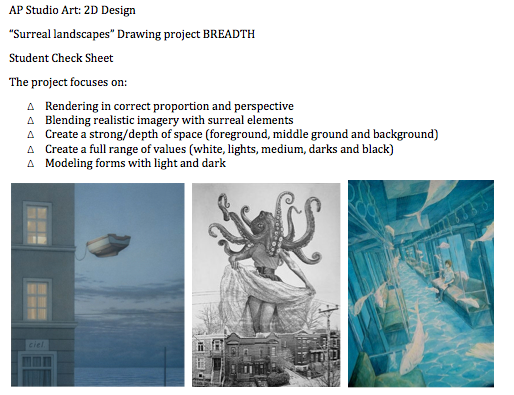 SWBAT to create a breadth piece for the AP Art exam. SWBAT create a deep sense of space using overlapping, scale and other design elements. SWBAT focus on value and craftsmanship. I only had two students so they worked independently and were easy to manage.